"First of all I have to say that Prominy V-METAL and SR5 Bass rock! There is nothing else out there with this level of sophistication. The interface is easy to use and I was composing within 5 minutes after installing it, this is a must have for guitar players and non guitar players! Thank you Prominy." 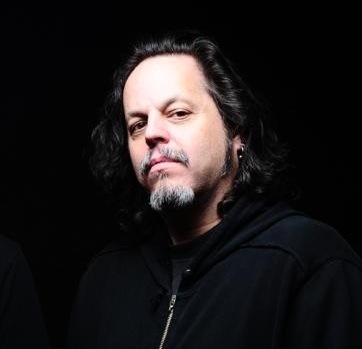 Eddie Woul has produced at least 25 albums (total sales in excess of 6 million units) for various artists including Anthrax, Jesse Malin, Smile Empty Soul, Ill Nino and H2O. He has also produced recordings featuring Bruce Springsteen, Jakob Dylan, Roger Daltrey, Chino Moreno (Deftones), Jada Pinkett and Ryan Adams, as well as play keyboards and co produce/write in a band with Brett Scallions (Fuel) and Sean Danielsen (Smile Empty Soul) called World Fire Brigade. Currently he is producing the band Fuel. There have been around two dozen or so songs written by him that have been released on records. He has also written over 20 songs with Kara DioGuardi. His credits as a composer include the score for the TV series "A Place In The Sun" and the scores for the documentaries entitled 'Underdogs" and "Bloodlines" for Tapout as well as a series of commercials for the company. He has also composed, performed and produced numerous cues heard on CBS, NBC, ABC, HBO, MTV, The Discovery Channel and VH1 - 17 cues on DJ AM Intervention show "Gone Too Far" on VH-1 , 7 cues in the "Phil Simms Pre-game Super Bowl Show" on CBS for last year's Super Bowl, 8 cues for "24/7 Mayweather Mosley" and "24/7 Penguins Capitals" on HBO, 5 cues for the "2011 NCAA Basketball Tournament" and a number of cues in the "2010 Winter Olympics" and "2012 Summer Olympics" on NBC. As well as having over 220 cue placements in the "NFL on CBS", one of his pieces is used as a recurring theme on "NFL Today" on CBS. Others were used for the theme for the "NBA Finals" on ABC as well as pieces in "The U.S. Open" on CBS. He currently landed 3 "Judge Judy" promotional trailers for CBS and a number of cues for the TV series "Dirty Money" and "Hell Roads" on The Discovery Channel as well as multiple placements in at least 200 episodes of the "Late Late Show with Craig Ferguson". He also has many placements in "MTV Cribs" and "That Metal Show" on VH-1. His most recent placements are the main themes on CBS, CSTV for "College Hockey" and "College Lacrosse".